Floating on the night sky: that’s what paddle boarding along the canal in the dark feels like. 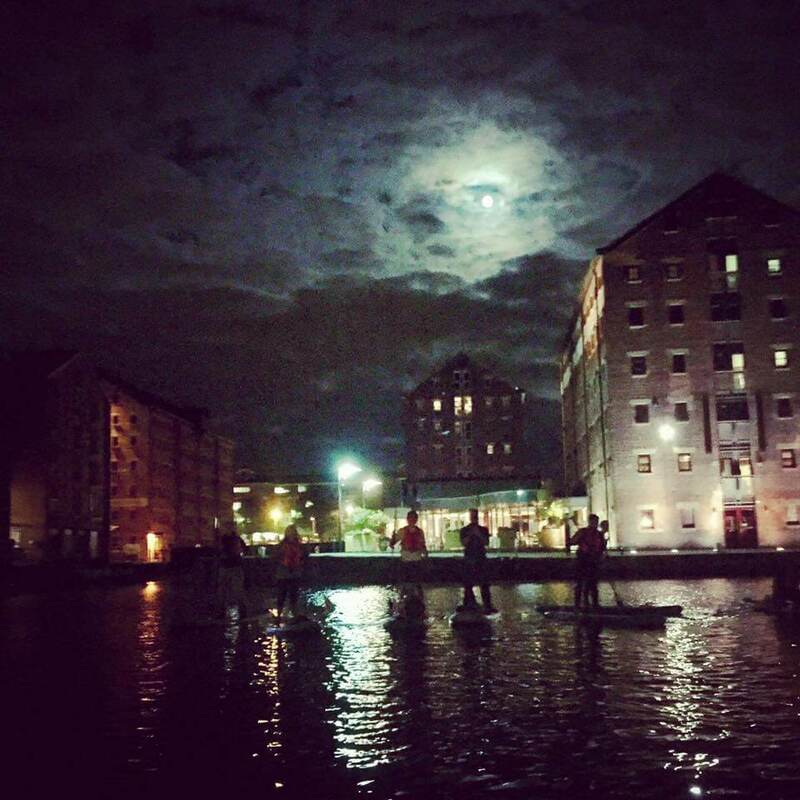 Join us for our monthly Full Moon paddle starting from The Pilot Inn and cruising 4 miles along the quiet canal into the bright lights of Gloucester Docks. Bring a head torch and as many glow in the dark things as you possibly can. Extra points for face paint. Meet at The Pilot Inn, Hardwicke at 8.30pm. We’ll organise shuttles back to vehicles once we have final numbers. £20, all equipment provided or bring your own for free!